Outlook: “The season looks promising,” Edwards says. “We have a strong core of seniors who are positioned to compete for tops spots at Southwesterns and States. Our returning veterans, including Emma Abbot and Emma Noonan, will round out a strong girls team. Also joining us for their freshman season in outdoor are Delany Hesler, Zoe Schmaling and Hannah Stevens.” Despite being young, that latter trio of girls his highly capable, and fans should keep an eye on them – not just for their potential, but as scorers from the get-go. 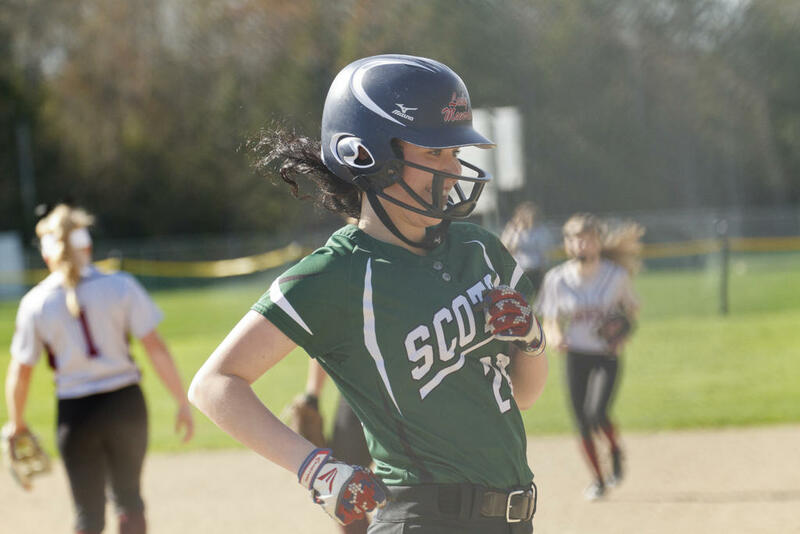 Outlook: The Lady Scots’ primary hurdle this year lies in their pitching. Kailee Cummings, a junior, saw varsity action in the circle last year, but the team’s other chief thrower will be freshman Emma Burnham. Capable though Burnham may be, she will of course lack experience to start and need to come into her own as quickly as she can. With returning starters at every position except pitcher, BE’s success, as Corliss says, “will depend on playing within ourselves, using our speed to our advantage and being smart at the plate. We have a lot of speed with Sam, Mackenzie, Syd, Emma Burnham, Morgan Drinkwater and Meg Champagne. If our substitute contact hitters – Spring Parsons, Cassidy Grass and Maddie Cole – can deliver in pressure situations, and our power hitters – Makayla, Emma Steinbuchel, Morgan and Ari – do their job, then we will be in the hunt for playoffs at the end of the season.” Corliss likes the Mustangs, the Eagles and the Rams as evenly-matched opponents. “A win against any one of them could mean our making playoffs again,” she says. Key Matches: “I plan on having every match this season being a vital one!” Pelletier says. Arianna Mejias is a talented member of the Lady Scots. Cam Phinney returns this spring for the Scots.